An Evening with the Winemakers of a Unique Sonoma Coast Producer. 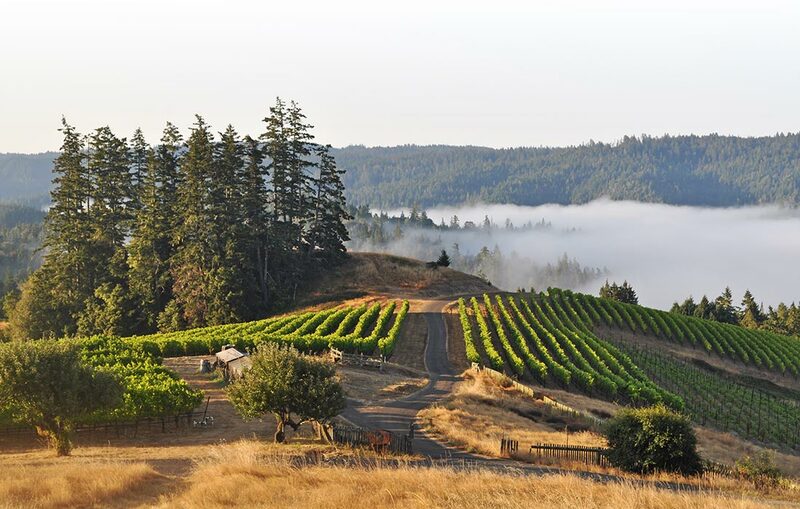 Peay Vineyards is a highly-lauded winery producing in the unqiue Sonoma Coast region, on a fog-enshrouded hilltop just four miles from the Pacific Ocean. In 1998, winemakers Nick Peay, Andy Peay, and Vanessa Wong set out to establish a new family-owned vineyard on a never-before-planted estate. Just a decade later, it was named "Winery of the Year" by the San Francisco Chronicle, and has continued to accumulate accolades ever since, helping to define the character of the emerging Sonoma Coast wine region and the region's signature variations of pinot noir and chardonnay. Thanks to a Harvard connection between the winery and one of our members, the winemakers will be offering the Harvard Club a private tasting, and a fascinating discussion of the wines, the region, and the business. Country Club of Darien, Thursday, May 9, 6:30 pm. $55 for HCFC members and their guests and $65 for non-members, including six wines for tasing, and a two-hour hors d'oeuvre buffet.